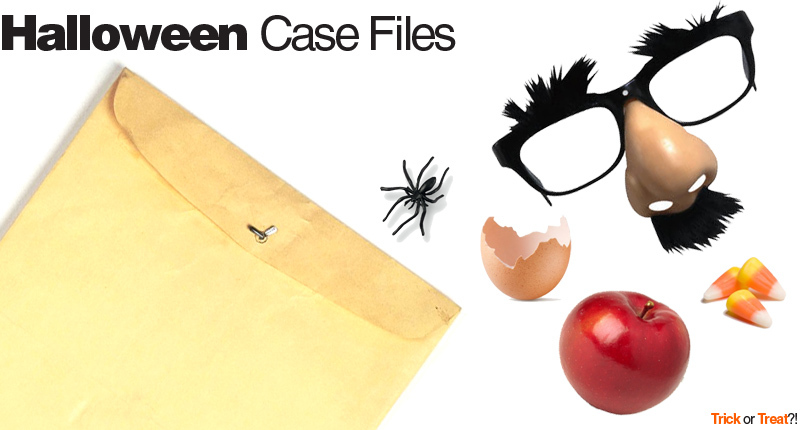 Can your students figure out what ______ and his / her friends did on Halloween, using their inference skills? Choose different items to put in manila envelopes or paper lunch bags. Kids examine the different items and come up with explanations for them. cracked egg shell - someone played a trick! toilet paper - a trick or a mummy! streamers - they were at a party! empty cake mix box - halloween party cake! leaves - they were outside, jumped in a pile of leaves! thermal underwear - it was cold outside! candy wrappers - went trick or treating and ate all of their candy! do not enter sign - uh-oh! tombstone - they were at the cemetery! watch that says 10:00 - they stayed out past their curfew! fast food wrapper - dinner or late night snack?! Based on the items, students guess how many kids went trick or treating and what they were dressed as. Then, they figure out what they did that night, maybe went to a party? Did they play any tricks? Get creative with different items.